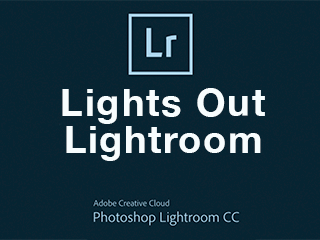 Signup for a 8 week online course for learning Adobe® Lightroom®. Each week you will receive an email with a PDF handout and link to video about using Lightroom. Course also includes three open online meetings where you can ask your questions in an open and interactive webinar. Are you using Lightroom and would like to get better at using the program to manage your photography? Do you want the flexibility of an online self-paced class, but hate that you can’t get the support you need when you have questions? This class is about the best of both worlds. When you sign-up fo this class you will get an email every week that has some written materials and a link to a video about Lightroom. Then twice a month there is an open webinar where you can sign in to ask questions, see demos and tips or just catch up on the newest feature of the program. Over the course of the ten weeks, we will cover everything you need to know to get organized and setup in Lightroom, edit your images, share your images and finally how to work with Lightroom desktop and mobile to make the most of your photographic experience. Specific topics include catalog management, importing and organization strategies, searching and finding images, everything in the develop and print modules, exporting images.